While we recently raved over the winning<a href="https://inhabitat.com/underground-mushroom-tunnel-wins-londons-high-line-inspired-green-design-competition/" target="_blank"> mushroom tunnel design</a> for the London High Line Competition, we can't help but give the runner up some love for their truly novel commuter swimming lane idea. 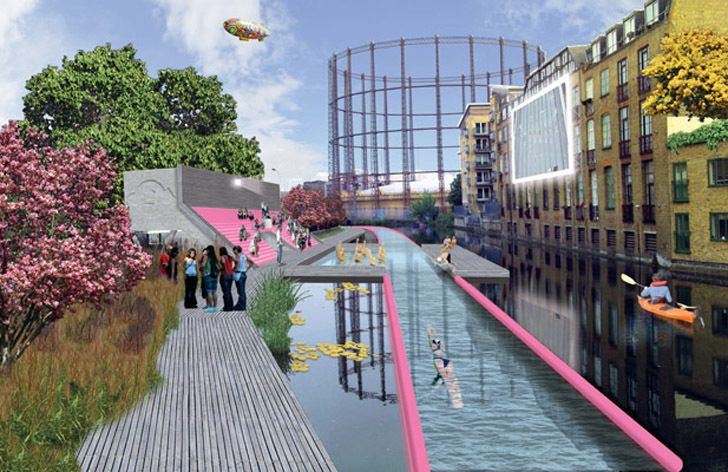 <a href="http://www.ynstudio.eu/" target="_blank">Y/N Studio</a> proposed revamping the city's <a href="http://en.wikipedia.org/wiki/Regent's_Canal" target="_blank">Regent's Canal</a> into a giant swim lane called the <a href="http://ynstudio.eu/filter/Projects" target="_blank">LidoLine</a> for people to stroke their way to work. 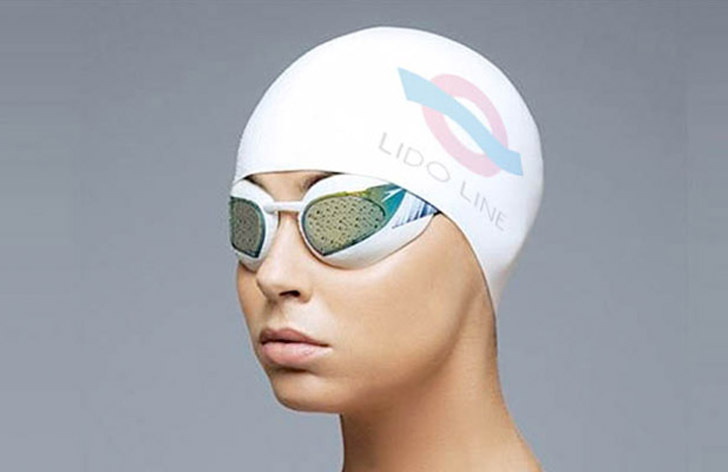 The project explores the rehabilitation of the unused 8.6 mile waterway into a clean stream for backstrokers and free-stylers alike to take a new way to the office. 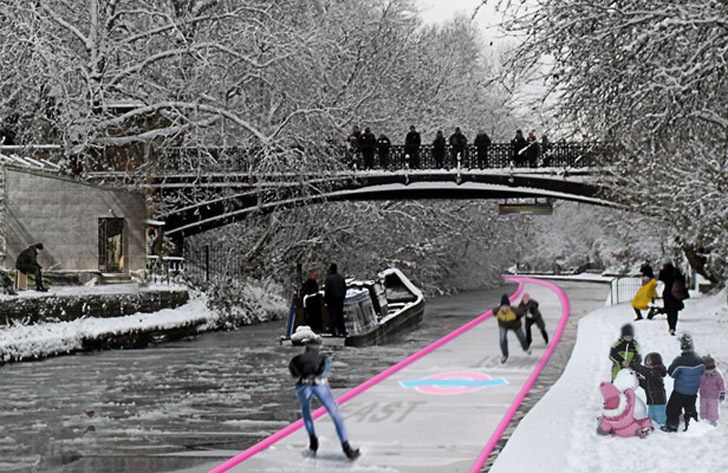 As for those pesky winter months, the team envisions that the frozen lane could appeal to ice skaters as well. 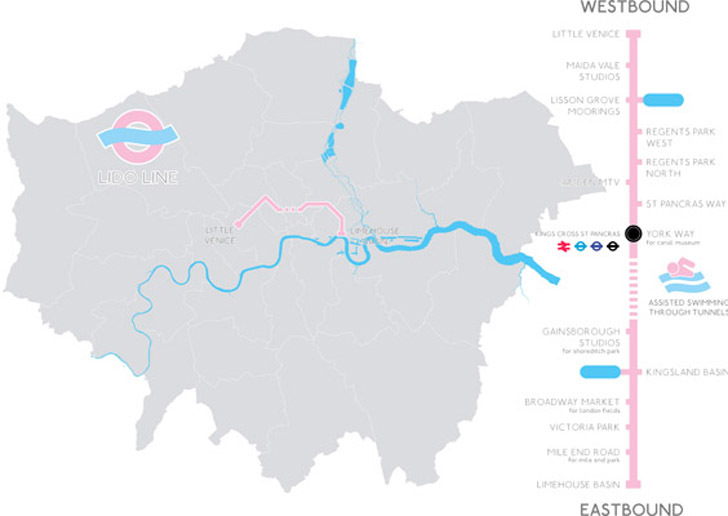 The Mayor of London's recent call for architects to design a <a href="https://inhabitat.com/designcompetitions/design-a-nyc-high-line-inspired-park-for-london-and-you-could-win-2500/" target="_blank">High Line-inspired space</a> saw designers scouring the city for under-used green plots. 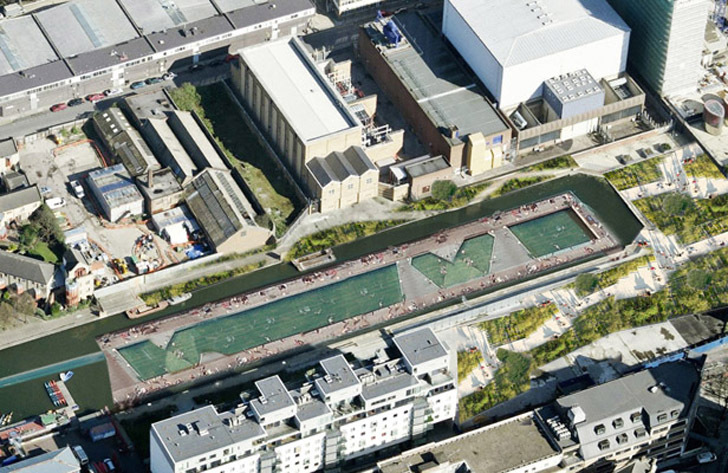 <a href="http://www.ynstudio.eu/" target="_blank">Y/N Studio</a> took a strange yet extremely thoughtful route, focusing on the city's enormous retired canal.